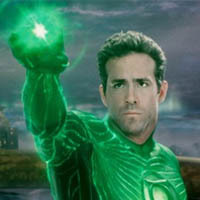 After the letdown at the box-office that the 2011 film, Green Lantern, received, Time Warner CEO Jeff Bewkes announced that he was decreasing speed on the campaign to create a sequel. This leaves uncertain tellings as to if the series will continue, or if it has died before it can gain a wide fan-base. Only time will tell the outcome of this decision. Comments for “Green Lantern” Sequel Uncertain are now closed.